How 'bout Avatar: The Next Generation ? Avatar: Legend of Korra is perfectly fine as title. 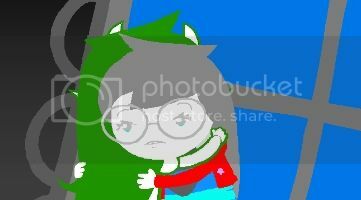 Is this your image? Any way you can expand it by showing which nations use TLA, which use LoA, and which never aired the show? I've noticed the change too- not only does the title card say "The Last Airbender", the announcer between programs calls it "The Last Airbender". Maybe they were too lazy to change the title card again. Or maybe they thought it would be better to use the American title since the movie is called that (I don't know if it's being renamed overseas). Oddly enough, whilst all of my Book 1 DVDs, and my Book 2 boxset say "The Legend of Aang" on the boxes, the slipcase for my Book 3 boxset says "The Last Airbender". The disks and the actual case still has the Legend title though. I'm guessing somebody forgot to switch the logos when designing the case. I don't really have a problem with "The Legend of Korra", and I wouldn't mind if they kept it. Countries which used "The Legend of Aang" could always use an alternative if there's concern that they're too similar. I think you mean "@V@T@R: L363ND 0F K00r@" haha but seriously, I think the title is fine. Maybe "Avatar: The Rise of the Anti-Bender" or "Avatar: The Anti-Benders" if you want to take the whole "Korra will be 'darker'" thing really seriously. I think in Canada it was called Avatar The Last Airbender. The Legend of Korra is fine. Yep, it was. I remember watching the show once when I was up there for a weekend. In Dee Bradley Baker's interveiw that was posted earlier today he referances something called "The Last Airbender: The Journey of Korra"
Well, the new Avatar, they put out an audition and they wanted a flashback for the younger Avatar – who is now a girl – from when she was this little fireball five-year-old. I had my 10-year-old audition for it, and it was just two sentences, and, well, my five-year-old said, “Daddy, I want to audition. I want to try this, too,” and so I let her give it a shot. And she booked it. 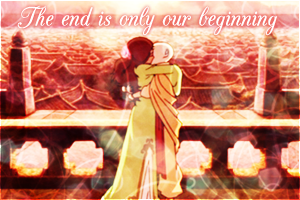 And the name of the series is The Last Airbender: The Journey of Korra – and my daughter’s name is Cora. It was just kind of an odd serendipity. To have her involved, with her playing a namesake, the heroic character of the show, that’s pretty cool. Pretty wonderful. Is it possible that the title has changed? Or maybe there will be a sererate series altogether? The wording of "journey" makes it seem like Korra is travelling places or is on a quest, and that contradicts the notion that she's going to be in Republic City most of the time. God, I hope she does end up travelling places . I don't want her to be in one city the whole series. I think it was just the working title, but its The Legend of now. Yeah, you're right, considering that the name Bryke gave out was the legend of korra. But if the working title was the journey, it could still reveal something about the plot, particularly that a "journey" was somehow involved. THE GAME. You lost it. It could be a more personal or inward journey, as opposed to a physical one. Just to avoid confusion, I'm not disagreeing with you. You might want to refresh the page, I've probably edited my post since you looked at it. when I used to enjoy them. I also understand what you're saying but that would make much more sense if it were worded as Korra's Journeys. That would seem to imply that we'd be following the character on her travels. Self oppression is a serious issue. Come on, someone had to make the joke. You cannot give tea to someone who already has a full cup. Now we know who started the anti bending movement. Hi, I'm Sokka, I love my thumb... WEEE! Saliva drips from my face in agony, falling on an unfortunate, splattering them in wet viscoelastic ooze. BILL NYE THE SCIENCE GUY!!! ^Why are you yelling so loud? "The worth of victory is the sum of the risk and the sacrifice."